This being Orson Welles' hundredth birthday, I've been reading a lot of articles and rankings of the great director's work. Chimes at Midnight features in the vast majority of them. I hadn't seen it before nor had I read Shakespeare's Henry IV or Henry V. So, I seized the chance to be doubly educated. Welles plays Sir John “Jack” Falstaff, an obese, drunken knight who acts as a drinking companion to the young Prince Hal (Keith Baxter). We follow Falstaff as he drinks, philosophises and goes to war and the film focuses on the changing relationship between him and Hal. Initially, I found the film to be impenetrable. The rapid-fire Shakespearean dialogue coupled with the film's notoriously bad sound felt like hitting a brick wall face first. I felt like I was being kept at arms' length. As the film progressed I went through a veil of understanding as the pace of the film lessened slightly and the performances guided me through some of the rougher, more oblique patches of dialogue and plot happenings. 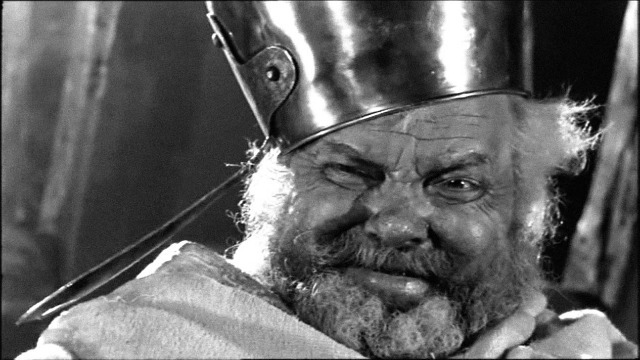 I started to appreciate the humour and the humanity to it all and certainly warmed to Welles' Falstaff. He hams it up like nobody's business, but Falstaff is a big and broad character in all possible ways. He's a huge presence and Welles affords him levity and gravitas to burn. The film is shot and framed in Welles' trademark style and it still looks bloody beautiful to this day. The royal scenes are shot in an almost claustrophobic way with shafts of light to pick out the finer details, whereas Falstaff's drinking grounds are shot with wide angles and given more space to breathe. It's a nice trick to convey the stuffiness of royal protocol and a nice setup for Falstaff's eventual betrayal. Chimes at Midnight is also known for its intense Battle of Shrewsbury scene, which is known to have inspired other epic battle scenes in films like Braveheart and Saving Private Ryan. The extended battle sequence is incredibly well done and surprisingly brutal. Welles takes the camera in and around the battle, unafraid to get deep into the battlefield mud, showing the chaos and carnage. This is intercut with Falstaff himself waddling about in his suit of armour, hiding in bushes and at one point, feigning death to avoid any actual fighting. I can see why this part of the film is regarded so highly and considered so influential. It's a brilliant bit of business. I was especially impressed by Keith Baxter. He sells the character's heel turn completely and it's devastating to see him turn his back on his camaraderie with Falstaff. When Hal assumes the crown and banishes Falstaff with a cruel monologue, beginning “I know thee not, old man”, the look on Falstaff's face is affecting and poignant. At the risk of appearing to be a philistine, I have to be honest and say that I appreciated Chimes at Midnight more than I actually enjoyed it. 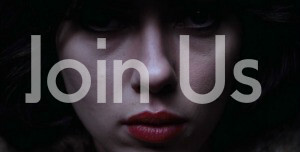 It's very well made and acted, but I wasn't as caught up as I'd expected for something so often called a “masterpiece”. The sound problems and shonky overdubbing also made certain lines hard to catch and I found the overall effect to be quite distancing. Chimes of Midnight is not getting out of here without a recommendation, but I felt slightly let down by it. Your mileage may and probably will vary.